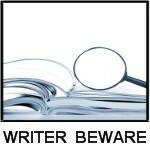 Requests for data on first novel sales frequently turn up in Writer Beware’s email. What’s the average advance for a first novel? How long does it take the typical first novel to sell? Do most first novelists sell their books on their own, or through an agent? Will publishers and agents consider first novelists who don’t have any short fiction publication credits? The quick response to all these questions is that “average” and “typical” are hard to quantify. From advances to time spans, individual experiences are all over the map. But that’s not really a helpful answer to writers wondering about what they can expect from a first novel sale. Concrete information is much more useful. Hard data on first novel sales is difficult to come by–but it does exist, if only in limited and fragmentary form. There’s SF author Tobias Buckell’s survey of first-novel advances in the speculative fiction field. Romance author Brenda Hiatt’s Show Me the Money lists advances paid by major US romance publishers for first novels and others. YA author Justine Larbalestier’s essay on first novel advances provides interesting information, as does this article from the Guardian on first novel advances in the UK (which also touches on how receiving a very large advance may harm a writer’s career if his or her book fails to perform). And another first novel survey, by YA author Megan Crewe, shows, among other things, that authors don’t need special contacts or connections to land a reputable agent or publisher. Jim acknowledges that the survey has some flaws (including sample bias–the majority of respondents are spec fic authors–and the survey’s small size). Even so, his information is fascinating, not least because it punctures several writing myths and goes against some conventional wisdom. Can short fiction credits help? Jim believes they can, and I agree (as long as the credits are in reputable venues). But as this survey shows, they are by no means essential. So if you’re like me and just don’t find short fiction writing congenial, you don’t have to torture yourself. – Just over half of the respondents sold their first novels through agents. (Me too.) That means just under 50% sold directly to their publishers. Does this contradict the idea that an agent is essential for a first novel sale to an advance-paying publisher? Not really. The results look different if you consider the decade in which the books were sold. Author Steven Saus’s more detailed analysis of Jim’s data reveals that, while direct-to-publisher sales outnumbered agented sales 55% to 45% in the 1980’s, by the 2000’s direct-to-publisher sales had dropped to 27%, and agented sales had jumped to 67%. This reflects the one of the major shifts in publishing that has occurred over the past 30 years, with agents taking on the gatekeeping function that was formerly carried out by editors. – All over the internet, self-publishing advocates are telling writers that self-publishing is the right way to start their careers. If you can drive your self-published novel to success, a bigger publisher may take notice and pick it up. And indeed this does happen, with Christopher Paolini being an oft-cited example. The truth, however, is that self-publishing success is rare. Jim’s survey confirms that–only one respondent self-published a book and later sold it to a larger publisher. – What about small presses as a way to break in? The data here isn’t great either–approximately 10 respondents published first with a small press, and later sold the book to a larger house. However, Steven Saus’s breakdown of sales by genre reveals the growing market presence of small presses over the past ten years, and I wonder whether a survey of second novel sales might paint a more encouraging picture of small press publication as a stepping stone to bigger publishers. 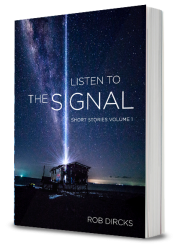 – Writers dreaming of overnight success should get set for a long haul. The time it took respondents to sell their first novels ranged from 0 to 41 (!) years, but the average was just over 11 years. (It took me 8). If you’re aware of any other surveys or data covering first novel sales, please post them here.